911uk.com - Porsche Forum : View topic - New to me 991.1 C2S Aerokit Cup has arrived! My thoughts..
911uk.com Forum Index > 991 (2011 - current) > New to me 991.1 C2S Aerokit Cup has arrived! My thoughts..
Looks like the Michelin PS4S now have a N0 rating for the 991, so I know what I'll be changing to over the next few weeks. May I ask, where you found out? There seems to be no mention of such tyres on Michelin’s website yet. Confirmed directly with Michelin by OPC. Also on Michelin website. Set of N0 PS4S for 20" rims now sitting in OPC workshop for me. 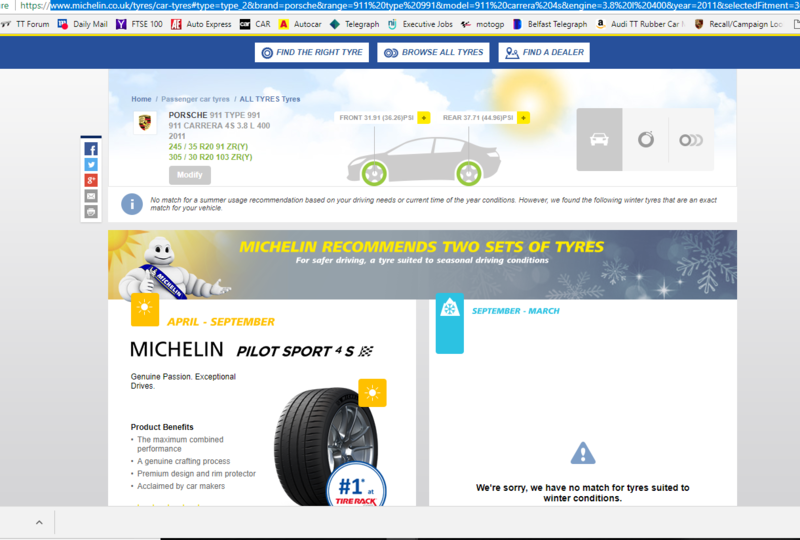 Several online tyre sites also have N0 PS4S for 20" 991 wheels. They are not on the Michelin website.